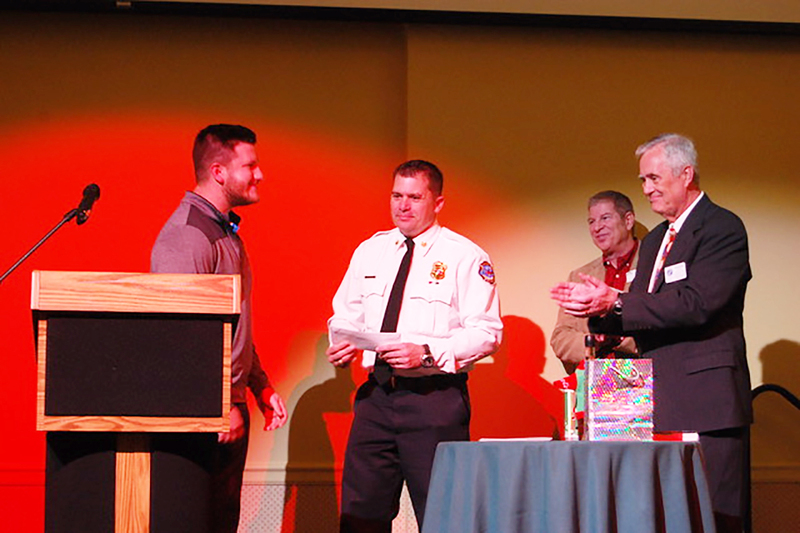 The Crestwood-Sunset Hills Chamber of Commerce donated $4,400 to the BackStoppers at LiUNA Event Center Dec. 18. From left, Andrew Bader presented the check to Kirkwood Fire Chief Jim Silvernail, who represented BackStoppers, Affton Chamber of Commerce President Steve Brotherton and Charles Lucier of Mississippi Valley Regional Blood Center. Silvernail is the son of the late retired Mehlville Fire Protection District chief Jim Silvernail.